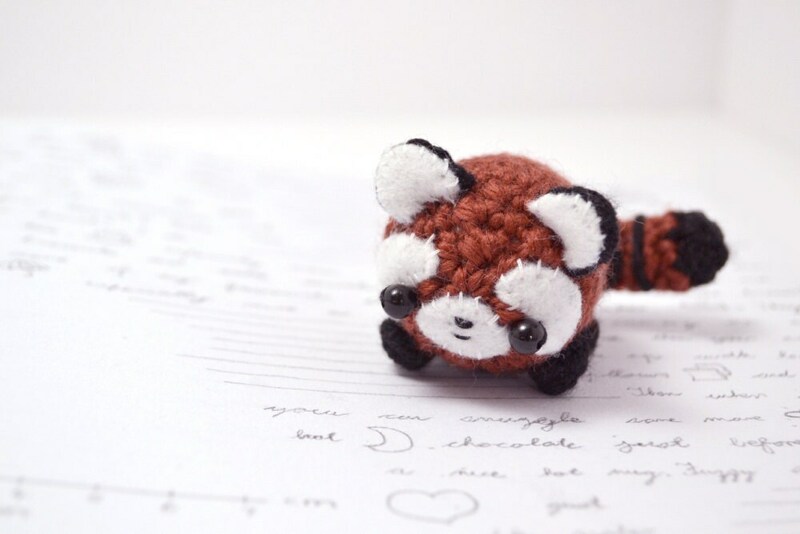 A written crochet pattern to make your own little red panda amigurumi. 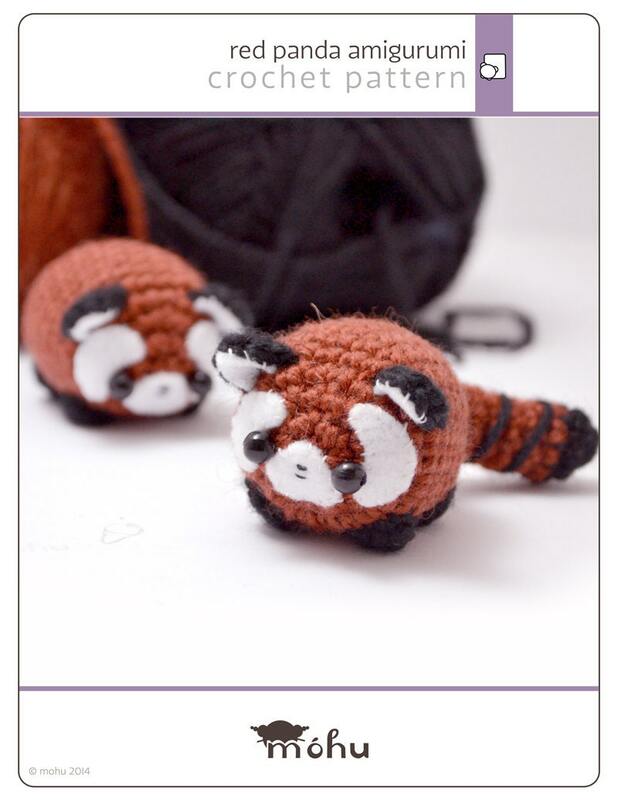 The downloadable pdf* file includes a crochet pattern for the red panda and a printable template for the felt details. There are 8 colour photos and detailed assembly instructions. You will require basic knowledge of crochet stitches and working in the round. These techniques are taught in the beginner's crochet guide, included in your purchase. The pattern is written in US crochet terms, and uses single crochet and half double crochet stitches. 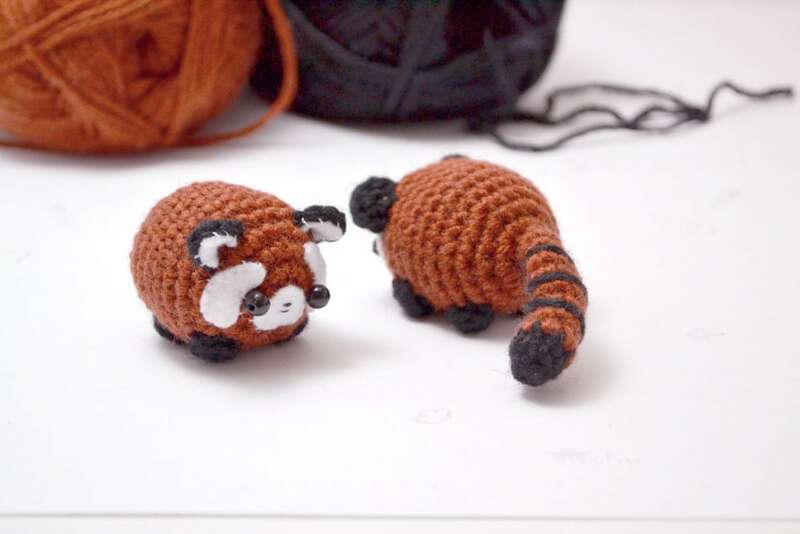 Medium weight yarn and a 3.5 mm (E) crochet hook are used to create an amigurumi body that is about 5 cm / 2" long, and 4 cm / 1.6" wide. You will require about 25 m / 27 yards of yarn in the main colour (red or rust brown), and a small amount of black for the tail, feet and ears. The pattern also uses white and black felt, some stuffing, thread, and 6 mm beads, buttons, or safety eyes for the eyes. After your payment is processed, you will be able to download the pattern directly from your Etsy account. An email address is included in the file, so you can contact me any time for pattern help. You can also submit photos of your finished items to be featured on mohu's blog. I haven't made it yet, but the pattern is really detailed and easy to understand. The bonus amigurumi beginner's guide that came with it is awesome! This is adorable. 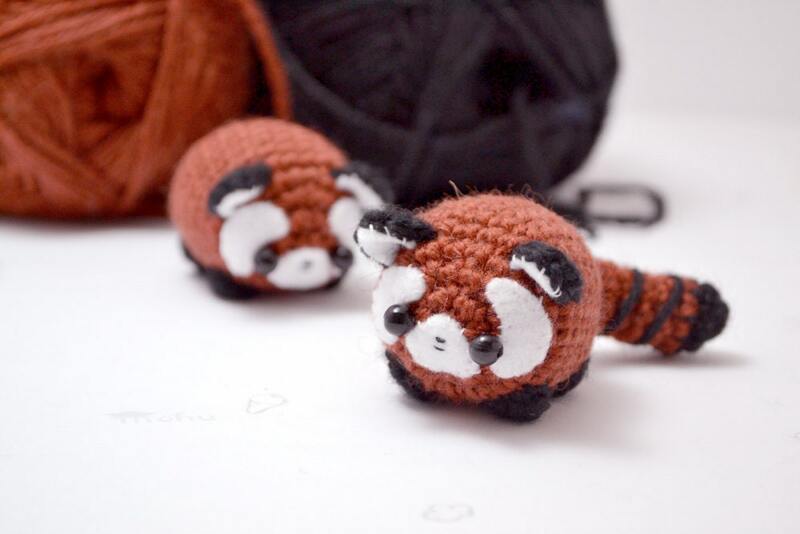 I'm looking forward to making lots of cute little red pandas!